BREVARD, NC- Oskar Blues is pumped to announce the release of the first batch of the award-winning Ten FIDY Imperial Stout from the East Coast brewery. This much-anticipated seasonal brew is now fermenting in the tanks at both the ColoRADo and NC locations. It’ll be released at parties at both Tasty Weasel Tap Rooms and distributed to all 32 states where Oskar Blues is sold. Less than nine months after the first North Carolina brew bubbled, the brewers have recreated all seven of Oskar Blues’ regular line-up of beers, finishing with the much-anticipated, highly-coveted Ten FIDY (10.5 percent ABV). This supremely full-bodied seasonal, that has bulldozed beer connoisseurs, will be available at your favorite watering hole or retailer earlier than ever this year—in September—thanks, in part, to the new(ish) brewery. Following the successful release of our spring seasonal, GUBNA, the FIDY will be available until February 2014 (or until it sells out), making it a perfect holiday gift beer. Stay tuned, as Oskar Blues plans to brew up a brand new seasonal in 2014 to be sold between the GUBNA and Ten FIDY releases! The Brevard Ten FIDY release party takes place on Thursday, August 29, 2013, at the NC Tasty Weasel. Come taste the first NC FIDY, plus another special Ten FIDY tap. 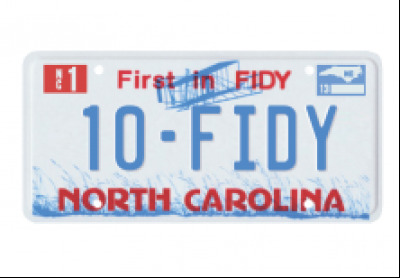 The night includes a chili cook-off with brewery judges (bring extra chili to share), music from This Mountain, a rockin’ folk band from East Tennessee, Ten FIDY corn hole, and special T-shirts featuring the “First in FIDY” license plate. Western North Carolinians who visit the brewery will be among the lucky first tasters of this uniquely crafted brew, with its inimitable flavors of chocolate-covered caramel and coffee that hide the hefty 98 IBUs underneath a smooth blanket of malt. The Longmont Ten FIDY release party will happen on Friday, August 30, 2013, at the ColoRADo Tasty Weasel Tap Room. The night’s offerings will feature a vertical tasting of FIDY from years past, plus a barrel-aged FIDY, a firkin of FIDY Pale, and a Nitro Smidy. Because if its hefty ABV, FIDY is uniquely cellarable and gets bought up and stored by beer geeks nationwide. The nectar becomes even more smooth with age. An Asheville Ten FIDY release party will take place at Barley’s Taproom & Pizzeria on Tuesday, September 3, 2013. Keep an eye out for other bars and restaurants celebrating the return of this boundary-busting brew. Ten FIDY is a super-strong beer that takes strength to make. This brew is made with an enormous amount of two-row malt, chocolate malt, roasted barley, flaked oats and hops. Ten FIDY’s nearly 5000-pound grain bill is just short of 50 percent specialty malts, which are packaged in 55-lb bags and loaded into the mills by hand. The many bags of oats are poured directly into the mash tuns. The oats and rice hulls have to be lugged up 20-odd stairs to the top of the brew-decks. “Brewing Ten FIDY is unlike any of the other beers we make. We have to mash-in two batches just to get one kettle filled because we only take the most concentrated wort from each mash. It’s a very time consuming and labor intensive process. This is part of how we make Ten FIDY so unique, rich, and complex,” says Brevard head brewer Noah Tuttle. Ten FIDY is packaged in 12-ounce CANS and sold in 4-pack carriers, as well as on draft at craft beer retailers, growler fill shops, restaurant, bars and more. Founded by Dale Katechis in 1997 as a brewpub and grill, Oskar Blues Brewery launched its craft-brewed beer canning operations in 2002 in Lyons, Colo. It was the first American craft brewery to brew and hand-can its beer. Today there are more than 200 craft breweries canning beer. The original crew used a hand-canning line on a tabletop machine that sealed one can at a time. Oskar Blues Brewery in Longmont packaged 59,000 in 2011 and grew to 85,750 in 2012 while opening an additional brewery in Brevard, NC, in late 2012. Watch Oskar Blues Brewery’s new video HERE via YouTube.